Going Grey and Slightly Green: ...and the favourite soap is Calendula Soap with Green Clay! ...and the favourite soap is Calendula Soap with Green Clay! 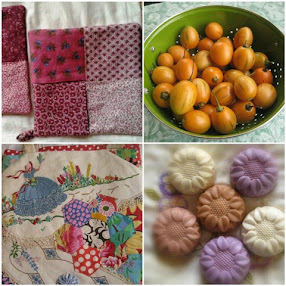 As you may have noticed, I like to do a blog post about my latest batch of soap every few weeks so that I can keep track of the ingredients I have used and how much and whether I was happy with the result. 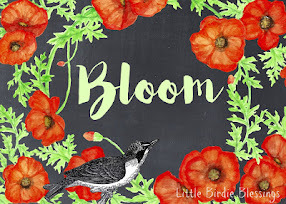 This year I have made a variety of soaps and, for the first time, have started using fragrance oils as I find that the batches I add essential oils to often lose their smell. I noticed that Gavin from The Greening of Gavin had some for sale so I bought a few from his Little Green Workshops to experiment with. I must say I have been very happy with the result as the soap keeps its scent a lot better than when I use the essential oils. This batch of Calendula Soap with Green Clay had Lemongrass and Persian Lime fragrance oil in it and it just smells lovely. The soap lathers up well and feel wonderful on the skin so I would say it is my favourite batch for 2016. Hot on its heels is goat's milk soap and my first try at 'swirling'. I also used the room temperature method this time around in which you don't heat up the oils. 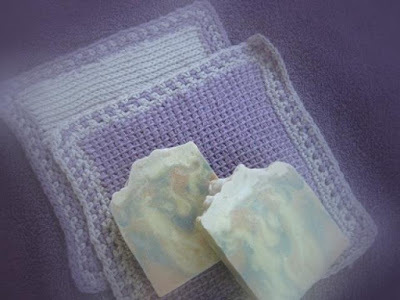 Goat's milk soap has a very luxurious feel to it and I can recommend giving it a try if you are a beginner and have already made a few batches of soap. Just read up about how to make it first as you need to freeze the milk beforehand. 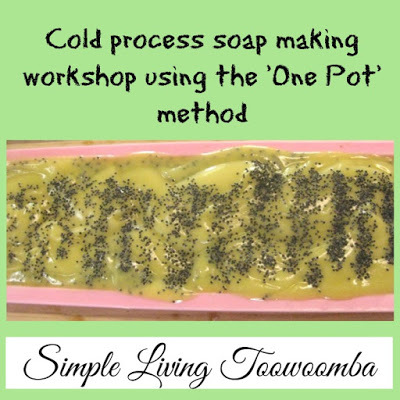 If you haven't heard of the room temperature method before you can read more about it in this post Soap Making Workshop using the room temperature method. 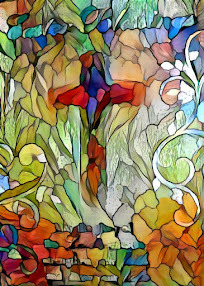 I had another go at swirling using a couple of colours which ended up looking quite pretty and I was quite pleased with the result. It takes a fair bit of practice to get the soap to trace at the right time and not too quickly but I was starting to get the hang of it. As in everything there are failures as well as successes in soapmaking and I learned how not to rebatch soap this year. The main lesson I learned though was not to buy cheap so called 'essentials oils' from the $2 shop as they can make your soap seize. Oops! 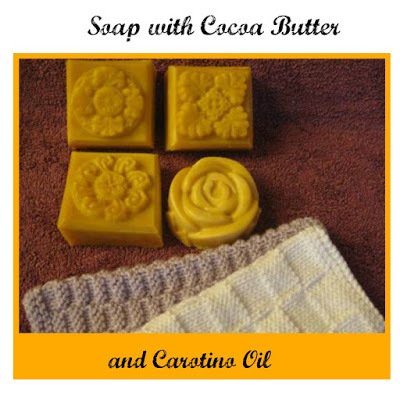 I had bought some Cocoa Butter during a visit to Simply Natural soap supplies outlet last year and wanted to use it up so when I came across a recipe which used it I added it to a batch ....Soap with Cocoa Butter and Carotino Oil and I can't say it ended up being in any way spectacular so I don't think I would bother buying it again. If you want to make a soap that gets darker and darker as the weeks go on then give Oatmeal Stout Soap a try. This soap started off with a light colour as in the photo above and ended up being dark brown and it has an amazing scent. The fragrance oil Oatmeal Stout was sent to me by Suzie, my soap making friend from The Curing Room as she wasn't fond of it. I love it though. Check out her Etsy shop as she makes amazing soaps. Another couple of products I bought from the soap supplies outlet were pink and green clay and I was keen to use them up after having them sit there looking at me for 12 months so I used both of them in Soap with Pink and Green Clay to which I added the most wonderful fragrance oil Egyptian Amber. 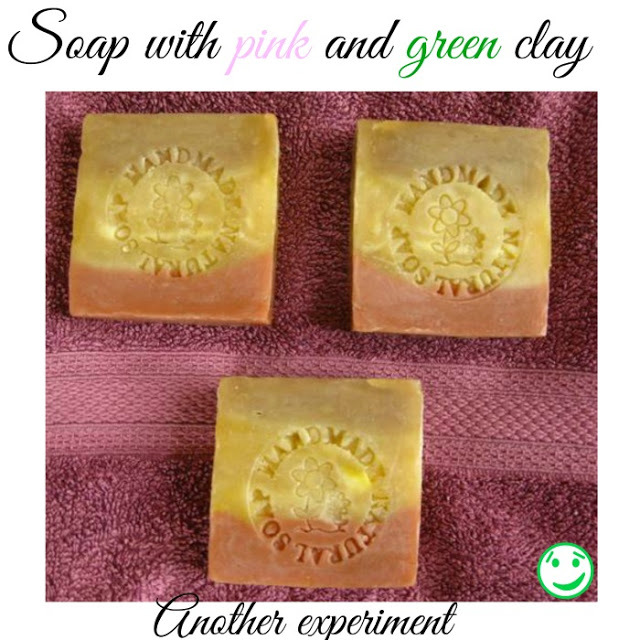 I had a few issues with this soap as it went to trace too quickly even before adding the fragrance oil so I had to cut off the top of it as it cracked and looked dreadful. It actually ended up being a really nice soap so all is not lost when things go wrong in soapmaking. My last batch of the year was Coconut Milk and Lemon Balm Soap which is still curing and this was my first go with using coconut milk so I am keen to see what it feels like on the skin and whether it is any different from goat's milk soap. 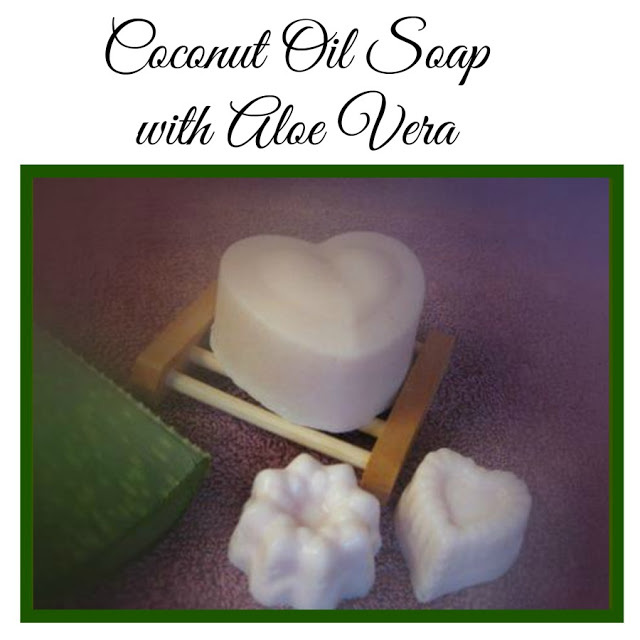 While still a nice soap the Coconut Oil Soap with Aloe Vera was my least favourite batch. This is a very hard soap which seems to last forever and it did lather up a little but didn't feel as nice on the skin as the other soaps. ...Buttermilk Honeycombs using bubble wrap in cupcake moulds. I lined an EasiYo jar with bubble wrap a while back and liked the result so will give this method a try as well and then the indentations will be on the top and sides of each cake of soap. This book is actually on special for $20.50 from Book Depository at the moment as there is 41% off at the time of writing. 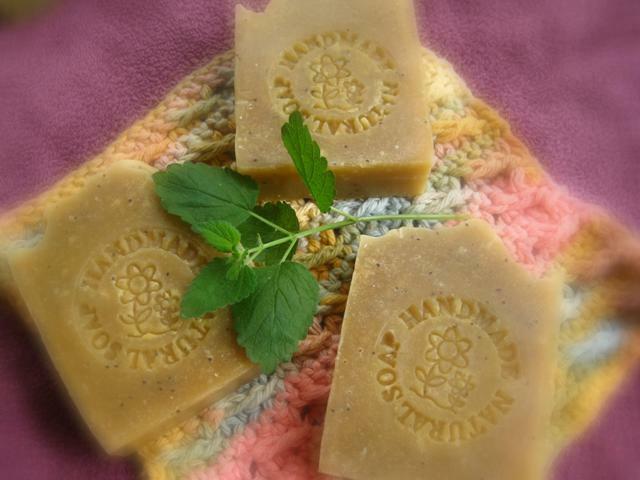 If you really want to try soapmaking then do some reading on The Soap Queen as there are lots of tutorials there for beginners as well as the more experienced soap makers and she takes you through the process from beginning to end. Selina, mine are good enough to sell but they are good enough for us to use. The menfolk don't really worry about what it looks like. So clever......I just do endless batches of basic soap using the one-pot method now (I'm so lazy). the family goes through my soap so quickly. the left overs are grated up for laundry liquid. But I enjoy all the experimentation vicariously through you! Mr.HM I enjoy experimenting. It's fun. I can only imagine how much soap you must go through in your family. The buttermilk honeycomb soap looks very interesting, a clever idea to use bubble wrap. Yes Sherri, I am keen to try out that recipe. You have been a busy little vegemite. I love the look of all your soaps, who knows maybe the new year will bring about my backbone and I will give soap making a go. Take care, Guida. Go on, Guida. 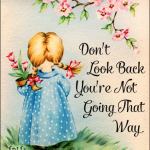 You know it is time to take the plunge. Why not join the other soap making newbies on the forum next year as I am sure there will be a few. 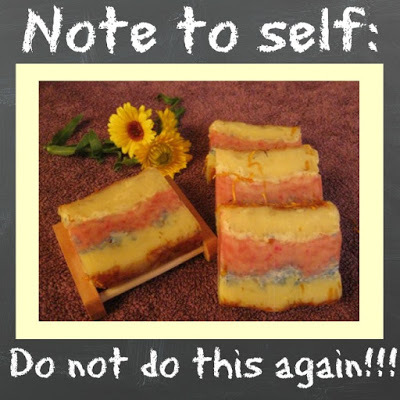 Nana Chel thank you for sharing your soap making adventures. My best soap this year was basic olive oil soap with bentonite clay and tea tree oil. It is a great shaving soap as the clay provides good slip for the razor. The clay is very good at drawing impurities from oily or acne prone skin. The tea tree oil makes it smell good and provides some antiseptic qualities as well. I made one batch of soap using the room temperature method that simply did not work. I used soap colour and essential oils, and ended up with this lumpy hard mess that wouldn't come out of the moulds. I tried rebatching it but ended up binning it. Think I might have to see if our Library has that book. It might save me from my bumbling experimentation. That would be an interesting recipe, Jane. I have some bentonite clay here to use up and was wondering if it would be okay in soap. As I sit here in my thermal underwear and sweats, I still prefer the cold (it is 2F here tonight which is about -16C) to heat!! Could be as I've reached the age where I can put on more clothes to stay warm but no one wants to see me take off enough to stay cool!! 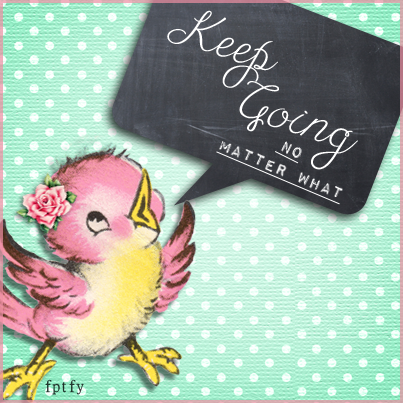 ;) Love the soap update, 2017 is the year - I have put my mind to it! Gonna make me some soap! Kathy, I will hold you to that. Your first batch will be great I am sure. The book does have a few ingredients I don't usually buy like shea butter and cocoa butter but I can work around that I think, Liz. There are some good ideas in it which I am keen to try out. I am keen to get some plant powders to add colour as the dried nettle etc. I have used in soap does fade over a few weeks.